Some comics really come alive because of their supporting casts. Though the heroes deservingly hog the spotlight and our affections, try to imagine Amazing Spider-Man without Aunt May, Mary Jane Watson, or J. Jonah Jameson; or Batman without Commissioner Gordon, Alfred, or Robin; or Superman without Lois Lane, Perry White, or Jimmy Olsen. Matt Murdock’s supporting cast may not have quite the same pedigree, but there have been a number of characters over the years who have added to Daredevil in the most wonderful ways. For ease, I exclude full-blown villains (Sorry, Wilson! ), but include pretty much anyone else who has shown up in the book. Without further ado, my Top 10 Favorite Supporting Characters from Daredevil. 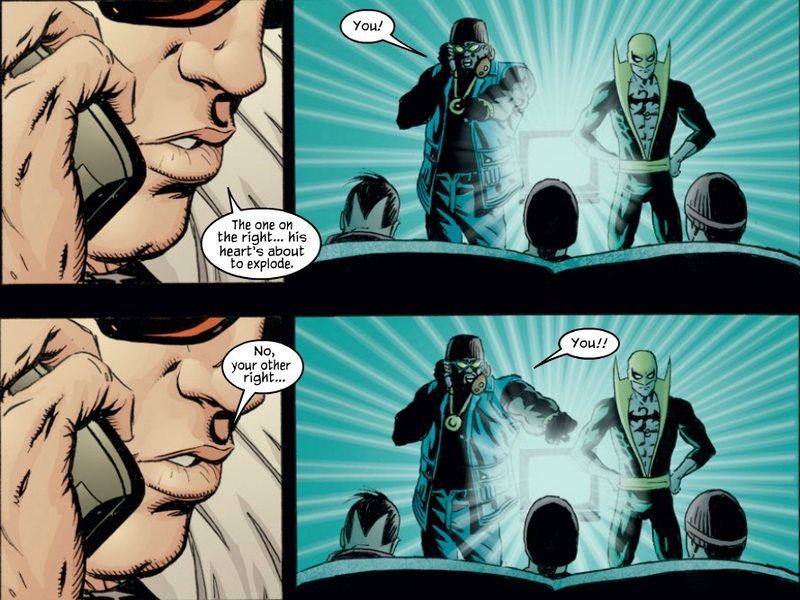 While I guess he’s technically a villain, I’ve never been able to take Turk too seriously as a threat, and neither has Matt Murdock. Turk has been bumbling around for decades and simply can’t seem to catch a break. A favorite of multiple writers for easy humor, Turk’s appeal lies in his overwhelming incompetence mixed with an innocence unusual in a hardened criminal. Considering how often Kingpin is depicted killing those who displease him, it speaks volumes that he has kept the lowly Turk around all these years. Maybe even Wilson Fisk needs a laugh from time to time. Obviously, these are two people, but 90% of the time when they appear in Daredevil, they’re together, so I’m taking the opportunity to cheat a little. I’ve always thought that Luke and Danny were the two heroes with whom Matt was most likely to grab a beer. They’re no-hassle friends, always there to help Matt punch a supervillain or move a couch. Even when tensions have developed between them and Matt, their overriding affection for each other has kept them working together. Perhaps Matt’s most consistent superhero partner over the years, Spider-Man is the perfect complement to Matt’s (slightly) more serious demeanor. Despite Spider-Man having teamed up with every Marvel hero ever invented, his rapport with Matt is rivaled only by that with Johnny Storm. Their bond is cemented through their mutual understanding of grief, sacrifice, and the value of humanity. And nobody gets off better zingers than Spidey! Melvin Potter began life as a somewhat uninspiring villain with a rather gaudy costume. Time has revealed him to be a troubled, good-natured, child-like man: he is the proverbial gentle giant. It’s hard not to feel sorry for a guy who’s seemingly always a pawn in someone else’s schemes. Matt’s kindness toward Melvin created in him a sense of devotion to Matt that is endearing and touching. I suspect that Melvin also holds the record for percentage of appearances in Daredevil in which he is crying. The epitome of the haggard reporter, I always imagine Ben Urich saying to himself, “Looks like I picked the wrong week to quit smoking” in his best Lloyd Bridges impersonation. Though a successful reporter for The Daily Bugle and Frontline, Ben never lets his principles take a backseat to his headlines. Nowhere has Matt taken a greater risk with his superhero identity than in trusting a newspaper reporter to keep quiet all these years, yet I suspect that Matt has never once doubted that Ben would remain true. Ben’s weary sense of humor and concern for others have led to lots of great moments. It’s not coincidental that Daredevil really took off as a comic book the moment that Elektra Natchios first showed up. The name of the game when it comes to Elektra is mystery. Despite showing up in Daredevil with some frequency, it’s never crystal clear whether Elektra is acting as friend or foe. That’s the beauty of her as a character: one gets to watch the inner battle between the thrill-seeking college girl who loved Matt Murdock and the cold, detached assassin who now finds herself his sometime opponent. Also, the fact that she gets resurrected whenever she dies ensures that Matt will always have at least one ex who is still alive. Bonus points for her surname always making me hungry for nachos. 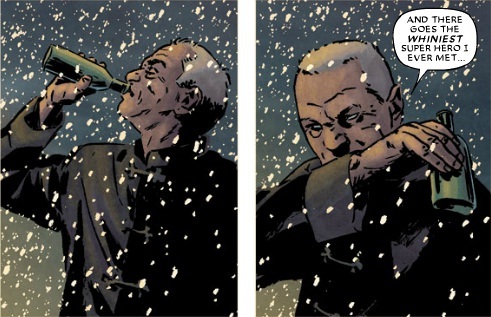 One of my only disappointments with Mark Waid’s run so far has been that it doesn’t include any Dakota North. Dakota, the tough-as-nails private investigator (who just happens to have been a super model in her youth) brings to mind Lois Lane in the best way. She’s independent, intelligent, willful, funny, beautiful, unassuming, and grounded. While Milla Donovan may have been dazzled by Matt Murdock being Daredevil, Dakota probably treated the news with a disinterested shrug, preferring to judge the man for herself. She is an ever useful ally during those times when villains don’t need to be punched in the face (though she can do that too). Master Izo is, without doubt, the greatest ninja around. Ex-Hand and Ex-Chaste, Izo simply does not give a damn what anyone thinks. He is wholly irreverent and his primary motivation seems to be alcohol. The way he rummaged around Matt’s apartment looking for booze reminded me of Yoda going through Luke’s supplies on Dagobah. The fact that his craziness hides a keen mind and an incomparable fighter only makes him cooler. Izo is likely the only character who can give Spider-Man a run for the title of funniest character in Daredevil. Putting him “only” at number two will probably earn me some rebukes, but there’s still no denying the greatness that is Foggy Nelson. No matter how crazy Matt’s life may become, Foggy is always there to act as Matt’s moral compass. He is steadfast, brave (without even knowing it), intelligent, kind, and good-natured. He is human decency personified. If we all had a friend like Foggy, we’d all count ourselves lucky for our good fortune. Matt almost certainly doesn’t deserve Foggy, but you’ll never catch Foggy thinking that; it’s not the sort of thought that would ever occur to him. And the ladies totally dig him. 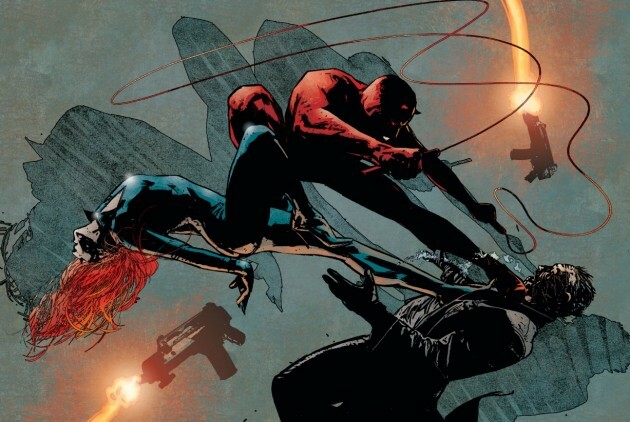 The Marvel Universe’s sexiest superspy, Natasha Romanova is the only real woman for Matt Murdock because she is the only woman who is really his equal. While possessing almost all of Dakota’s good traits, Natasha also shares Matt’s love of thrill-seeking and his compulsion to dedicate one’s life to righting wrongs through punching. And who else but a superhero would understand Matt’s superhero life, his superhero problems? It would not be going too far to suggest that Black Widow is something of a female Daredevil, just without the whole blind bit. Maybe that’s their problem; maybe they’re too similar. (Also, she seems to now be in love with Bucky Barnes. Looks like you missed your chance, Matt!) Regardless, Daredevil is always a better read when she’s in its pages. So, what about you guys? Who are your top 10 favorite supporting characters? I love Black Widow. She is my favorite Marvel woman. And Daredevil teaming up with the superspy is my best reading pleasure. * Also more Man-Bull please. @Bill – Interesting list of folks, though I can’t say I want to see any more of Sir. Stone, Stick, and the rest of the Chaste missed my list of favorite supporting characters, but not by all that much. I’d enjoy seeing more of them too. With the Hand being little more than a bunch of pushovers, I’d like to see some badass like Kirigi return, take them back from Kingpin, and whip them back into shape. Maybe then 100 of them could take out one superhero. I agree with most of these choices. But remember Turk did knife Murdock during the ‘Born Again’ storyline. I always thought that was a bit out of character for a bumbling flunky like Turk, I guess Miller just wanted to make the grim even grimmer. And you’re right about Black Widow. I thought Heather Glenn was one of the most annoying and boring characters of the Bronze Age. And I hated her more knowing that Matt was with her instead of Natasha. I LOVE Dakota North! I was so disappointed when the relaunch went and wrote off Daredevil’s great supporting cast (Becky, Dakota, etc.) hopefully we’ll see their return someday. Love your list. Funnily enough, I’d always planned to do something similar on my own blog once I’d finally caught up to present day continuity. I kind of disagree with JA about Turk knifing Daredevil – it illustrated how far Matt had fallen and also what Turk has to do to survive on the mean streets of Hell’s Kitchen. He may not have had much of a reputation but he still got one from somewhere. Shout out to Bill for including two undervalued characters on his suggestions – Debbie Harris and the Fat Boys. But overall, Aaron, great fun!